Clickandsend.biz is a service from London based e-levation.net. We provide a personal, friendly and professional service accross the range of email and website requirements PLUS by keeping our costs low we keep your costs low. We design & develop html newsletters and marketing email to compliment our web services. Clickandsend.biz is our easy to use system for delivering that email. We match our service to your requirements, handling your entire emailing campaign or, if you want to be more hands on, setting up the system so you are in complete control. 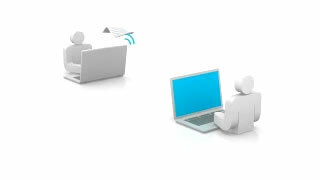 We offer our clickandsend.biz service in the UK and Ireland, accepting payment in both pounds and euro. In line with our ethos of keeping the web simple for our clients we can assist and train you as you organise, test and send your first campaign. There is extensive help available within the clickandsend application and if you need further assistance we are just a click away. Please use our contact form or email for support and update requests.